First come, first served, right? As a landlord, do you give dibs to the first person to see the property? I do not. I don’t hold a property for someone while they get their paperwork in order. 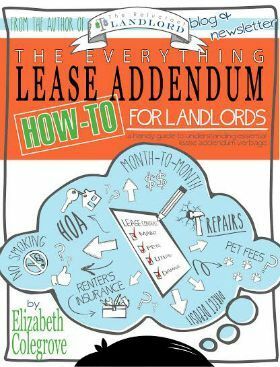 My policy when picking a tenant is the first qualified applicant who is approved, signs the lease, and submits the lease is offered the home no matter who sees the house first. I have had many applicants who drag their feet while I have had others that have submitted all their paperwork within three hours without even seeing the property. I have learned over the years that if someone wants a property they will complete the entire process. I want to reward the person who finishes first — not the person who is first in the door. 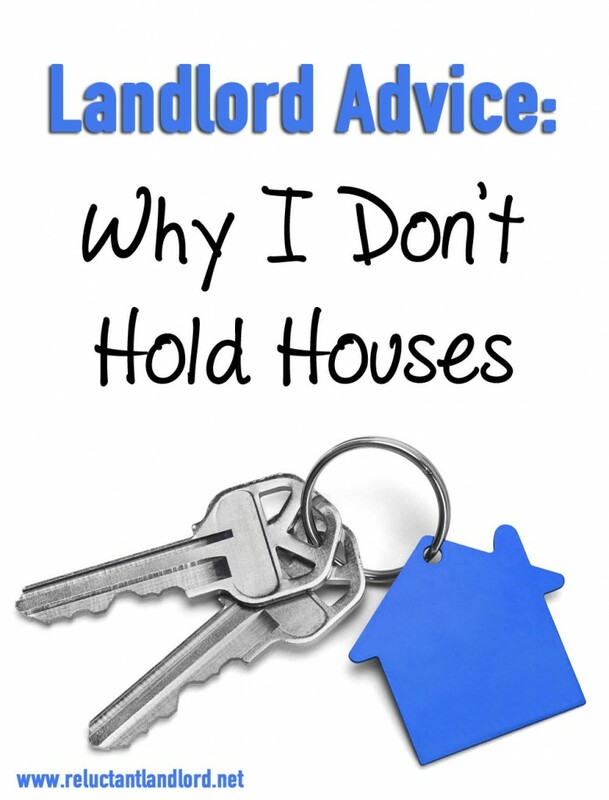 As a landlord, this no-hold practice has worked out both as a business practice and as a human being who wants to treat others how I wish to be treated. Nothing annoys me more, both as a landlord and as an applicant, when we are waiting on someone who is dragging their heels while they explore all their options. There are also the applicants that seem to bail on me after the people who were really interested have already moved on! I also have had people go through the entire process including paying for the credit and background checks who have then decided not to rent the home. So just because they have gone through the entire process does not mean they will take the property. I had another applicant tell me that she was waiting on getting approved somewhere else but saw my house and fell in love. Here’s the best one: I had a tenant sign the lease and pay the deposit only to change their mind two days before move-in day. This was right when a big influx of new employees came in to town, and I had already turned down five people who wanted that house. I got really lucky it rented out. That was the final straw, and that story leads to my next no-hold procedure. The house is not removed from the market until the applicant has been approved, they have signed the lease, and given the first month’s security deposit. Once those three things are done, all applicants are informed that at this time the lease is fully executed and all parts of the lease are in effect (including the break lease clause). The only times I have not followed this procedure are the only times I have been burned. I have wavered because I am human but trust me when I tell you its has burned me the two times I have wavered. Thankfully, I operate in highly desirable areas so properties do not sit during summer months. This leaves me in a position of power. I also don’t want to waste my moving season time and delay filling the property until the fall. That would make my life much harder. What are you procedures and practices? Do you hold a house for applicants? I like to be a little more picky, esp when it comes to pets. Our properties haven’t been fenced and so if they had a dog it just didn’t seem like a good idea. This last time I got an onslaught of interest, and the very first people said they would be in town the next week and wanted to see it, so I said okay. Within a couple days I had people willing to rent sight-unseen, but I felt obligated to let the other family see it before I made my decision. So I said I would consider any applications up until that date. Partly because I knew they had a special needs son and really needed to see the property first. Anyway, I also had a bad experience from the other end. I had a house I was 95% sure I wanted and had a plane ticket to go see it. The property manager told me no prob, there was no other interest in it. If she had I probably would have said, yeah, I’ll take it- be she kept saying no one had asked about it, and I already had planned the trip. So one hour before I was supposed to see this place, she called me to say someone had just taken it. REALLY? I didn’t even get the message until I was parked in the driveway for the showing. I totally understand both stories as I have too been there! That being said, I have been burned numerously because I “held” the house causing my interest to dry up and than they decided not to go with the house etc. That is why I find it so much easier to have this policy. Everyone know about it. The key is whatever you do decide to do, to be decide up front and be open about it! If you were told that its first come first approved you might have made a different decision even if there was no “interest”. Sorry you had a rough experience!